Tuesday evening, the Texas special legislative session abruptly when the House gaveled out sine die signalling they were finished with the special session with one final day still available, leaving several items left undone on Gov. Greg Abbott’s to-do list for lawmakers. Among them property tax legislation. However, lawmakers may be back in Austin sooner than you think — but for an entirely different reason. A federal court ruled unanimously Tuesday that two of Texas’ 36 congressional districts are unconstitutional, and ordered that the political boundaries be redrawn ahead of the 2018 elections. The three-judge panel in San Antonio ruled that Congressional Districts 27 and 35 violate the U.S. Constitution and the federal Voting Rights Act. 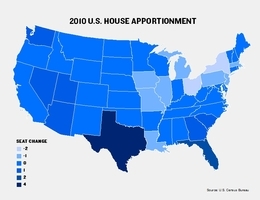 The judges found that Hispanic voters in Congressional District 27, represented by U.S. Rep. Blake Farenthold, R-Corpus Christi, were “intentionally deprived of their opportunity to elect a candidate of their choice.” Congressional District 35 — a Central Texas district represented by Democrat Lloyd Doggett of Austin — was deemed “an impermissible racial gerrymander” because mapdrawers illegally used race as the predominant factor in drawing it without a compelling state interest, the judges wrote. Texas Attorney General Ken Paxton has three days to decide whether he wants state lawmakers to draw a new map — which would inevitably lead to another overtime round at the Capitol — or if he wants to send the issue back to court. Regardless, two things still remain on the table: A new map could shake up multiple congressional races across the state, and the drawing of one could delay the next election cycle. But for now, all of us who watched hours of cringe-worthy testimony and floor debates get a break from the legislature, but not from the heat. 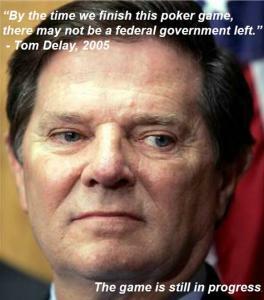 When an elected Republican Texas Court of Criminal Appeals ruled earlier this month that Tom Delay’s flooding of corporate contributions into state elections for the purposes of manipulating Congressional redistricting was “wheeling and dealing (that) was a tad shady, but legal,” it brought to an end an almost decade-long criminal case, but it didn’t end the controversy surrounding the Former Majority Leader. Prosecutors claimed the ruling undermines the fairness and integrity of Texas elections, while Delay said the verdict gives him fresh impetus to run for elected office again. An October 28th national online screening of the only documentary made about the Delay case will allow viewers to look at the original evidence and make up their own minds. Filmmakers Mark Birnbaum and Jim Schermbeck are using the court decision to team-up with online screening room 2ndLine.tv to host an October 28th live internet screening of the “The Big Buy,” their 2006 investigation of the scandal that forced Delay to resign from Congress. Viewers will be able to vote via a Google Docs link on whether they think Delay knowingly broke Texas law when his Political Action Committee solicited corporate donations for Republicans running in state House races.